As a software developer or system architect that is interested in looking at the workings of OpenStack, devstack is one of several different ways to start a personal cloud using the current OpenStack code base. In it’s most basic form, you can run devstack in a virtual machine and be able to manage your personal cloud via the Horizon web interface (known as the Dashboard), or via several CLI APIs such as the OpenStack client (OSC). You can use this to launch compute services, manage boot images and disk volumes, define networking and configure administrative users, projects and roles. The benefit of devstack is for the developer and deployer. You can actually see the running cloud software, interact and engage with individual services. devstack is a valuable tool to debug and bugfix services. devstack is used by the OpenStack CI/CD system for testing so it is robust enough to evaluate the core projects and many of the available projects that can be configured to be installed with devstack. You can also configure to use trunk (i.e. master) code, or specific branches or tags for individual services. The CI system for example will install the trunk of services, and the specific branch of a new feature or bug fix for one given project in order to perform user and functional testing. devstack also enables more complex configuration setups. You can setup devstack with LXC containers, you can run a multi-node setup, you can run with Neutron networking. While devstack installs a small subset of projects including keystone, nova, cinder, glance and horizon, you can use devstack to run other OpenStack projects such as Manila, Trove, Magnum, Sahara, Solum and Heat. The benefit of devstack is for evaluation of capabilities. 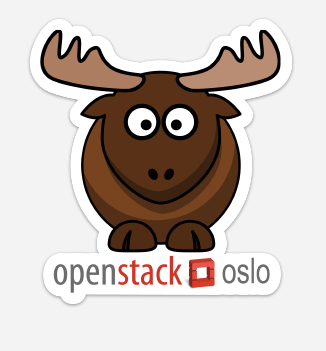 devstack is not a product to use to determine a path for production deployment of OpenStack. This process includes many more complex considerations of determining why you want to implement an infrastructure for demand for your organization, and considerations of the most basic technical needs such as uptime and SLA requirements, high availability, monitoring and alerting, security management and upgrade paths of your software. If you are ready to see what OpenStack could provide and want to run a local cloud, you can start with installing Openstack with devstack, a first-time guide. OpenStack is a cloud computing software product that is the leading open source platform for creating cloud infrastructure. Used by hundreds of companies to run public, private and hybrid clouds, OpenStack is the second most popular open source project after the Linux Kernel. OpenStack is a product of many different projects (currently over 50), written primarily in Python and is in 2016 over 4 million lines of code. There are numerous distributions of OpenStack from leading vendors such as Red Hat, IBM, Canonical, Cisco, SUSE, Oracle and VMware to name a few. Each vendor provide a means of installing and managing an OpenStack cloud and integrates the cloud with a large number of hardware and software products and appliances. Regardless of your preferred host operating system or deployment methodology with ansible, puppet or chef, there is an project or provider to suit your situation. For the software developer or system architect there are several ways to evaluate the basic features of OpenStack. Free online services such as Mirantis Express and TryStack or production clouds at Rackspace and OVH offer you an infrastructure to handle compute, storage, networking and orchestration features and you can engage with your personal cloud via web and CLI interfaces. If however you want to delve behind the UI and API’s to see OpenStack in operation there are simple VM based means using devstack, RDO or Ubuntu OpenStack that can operate a running OpenStack on single VM or multiple VMs. You can follow the OpenStack documentation installation guides which cover openSUSE 13.2, SUSE Linux Enterprise Server 12, Red Hat Enterprise Linux 7, CentOS 7 and Ubuntu 14.04 (LTS) to install OpenStack on a number of physical hardware devices (a minimal configuration is three servers). These options will introduce you to what *may* be possible with OpenStack personally. This is however the very tip of a very large iceberg. Considering a cloud infrastructure for your organization is a much more complex set of decisions about the impact, usefulness and cost-effectiveness for your organisation.